Started by kenneth Cooke Sep 17, 2013. Started by Phillip Lyall. Last reply by kenneth Cooke Sep 13, 2013. Just joined the club! 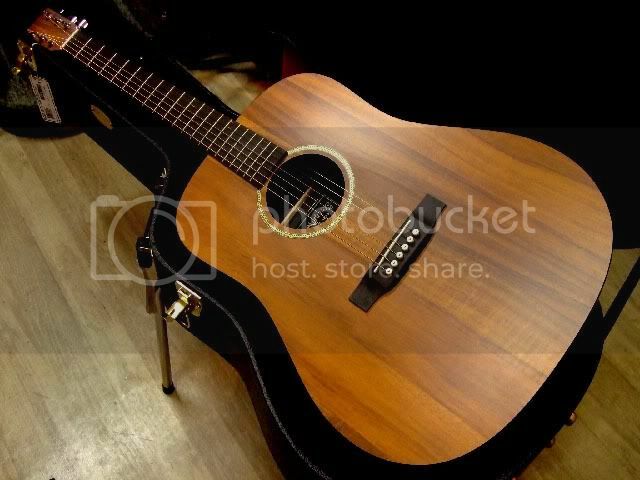 I have a Martin DXK2AE Koa body. The only thing I didn't like about it when I bought it was the battery was in a little bag inside the guitar and with my big mitts I needed to take the strings off to replace that battery. I solved the issue by having a battery box installed on the front bout near the neck. Have owned D28VR, (80's) D35, (70's ) 0015 (early 2000's) and recently bought DR Centennial, marking first century of Dreadnaught production. Has Martin VTS artificially aged top and braces. Greatest sound I have ever heard! I have had many guitars, but am now permanently committed to CFM from now on. C F M IV is a genius!!! You need to be a member of Martin Guitar Owners to add comments!